Do you know this bare patch of soil forming in your garden right about this time of the season? The one which, most likely, held onions, garlic or zucchini? The one you were hovering over, thinking, what can I plant here in the middle of the Summer…..
Today I wanted to share with you seven crops you can plant in the middle of the season. Before I run down my list, let me share with you how I built it. Since each one of us is gardening in a different zone (I am in 7b), and our weather is different, you might need to change things around a bit. First, calculate approximately how many days you have until the end of the season. There are 31 days in August and 30 days in September, for a total of 61 days. I will add 15 more days since usually it is still warm here at the beginning of October. So I still have a total of approximately 76 hot/warm days until Fall arrives, which means that I am looking for crops which can germinate in warm soil, can tolerate heat, and reach maturity in less than 76 days. Bush or Pole Beans – Those beans can germinate in cool soil but germinate better if the soil temperature is between 70 to 90F. You can keep planting those beans until mid-Summer. 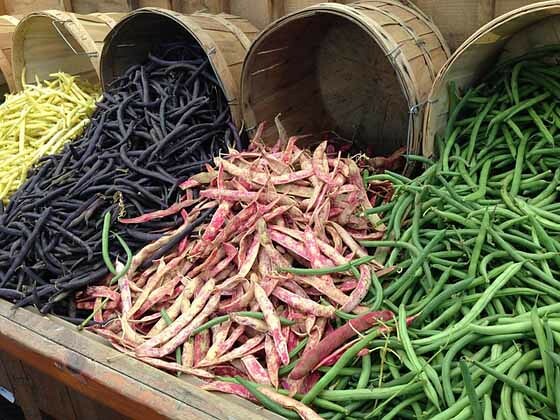 Bush beans reach maturity around 50 days while pole beans reach maturity around 60 days. 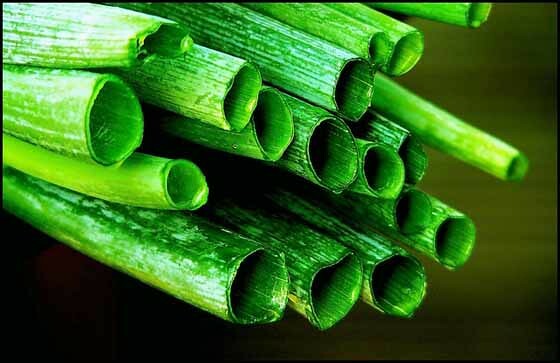 Green Onions – Those onions can be sown in July and August for Fall, Winter, and Spring (next year) use. 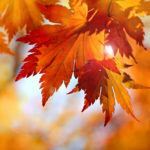 They are not picky about soil temperature and will stay in great condition through the Winter if you cover them before the first frost come. They mature in approximately 60 days. 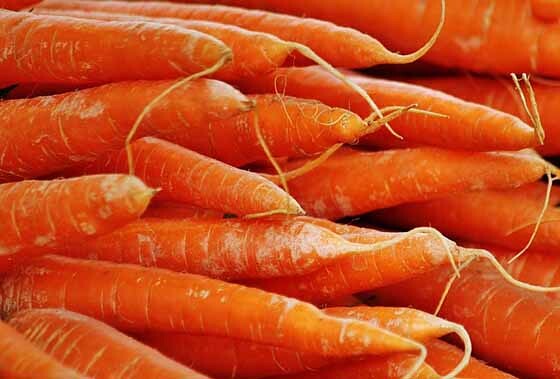 Carrots – Some verities of carrots can be sown all through the Summer (make sure to choose the right verity). The carrots will mature in about 65 days. You can pick them then or leave them in the soil for Fall and even Winter picking. Mulch the soil around them, and you don’t even have to cover them (this is true for the South, not sure about up North). 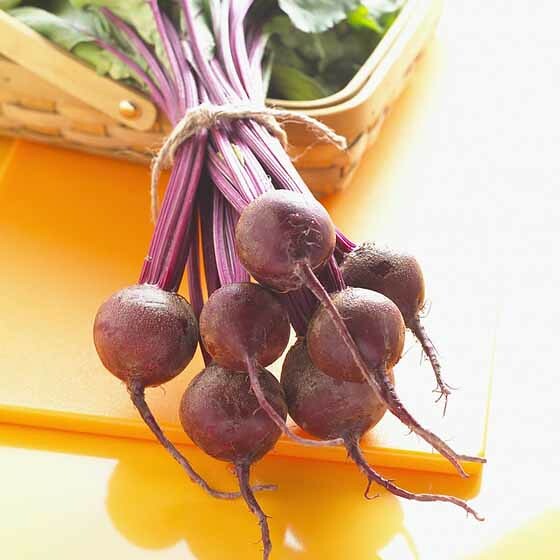 Beets – You can keep planting beets until eight weeks before expected Fall frost. Those are smaller beets which will mature in about 50 days. You can wait for the root to form or use the young leaves for salad. 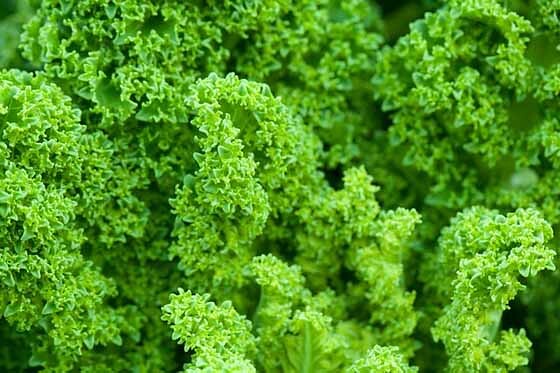 Kale/Collards – Those hardy leaves will mature within 55 days. You can wait that long or pick young leaves for your salad or to make chips. If you like Kale, by all means, plant as much of it as you can. It is not only very healthy but also very hardy. The kale or collards you plant now will last you all Winter long without a cover (you might need to cover if you have severe Winters), or any other special treatment. 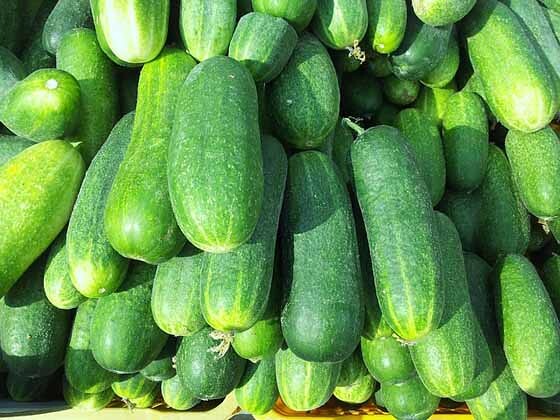 Cucumbers – It only takes 60 days for cucumbers to reach maturity. If your Summer is long, you can plant cucumbers now. They are very sensitive to cold temperatures so make sure to be ready to cover them if need be. And last but not least… Buckwheat – This is a type of Summer cover crop. You can go few different directions here; you might use buckwheat to enrich your soil (green manure), in this case you can till the buckwheat under a week after it started flowering, around 40 days. You can let it go to seed (around 70 days), harvest the grain and make your own buckwheat flour, or simply grow it for the bees, who love the flowers, and let it reseed itself. It will then die in Winter. So if you thought you could get away from garden work since it is too hot outside, think again. There is still much to plant and lots of garden work ahead of us! I am curious to learn what do you do with mid-season empty garden patches… Any particular favorite you sow in the middle of Summer? or services from this blog. What a great list! We are planting buckwheat in all our beds as we clean them up and get ready for the fall garden. We live in a zone 9 area so we can keep our garden going year round. The buckwheat really helps the in between times. How great that you can keep the garden going year round! We can too, but need some adjusting. I am falling in love with buckwheat! There are many ways to use it. Great ideas for keeping the garden producing! I sowed carrots seeds today, and I’m getting storage radishes and turnips planted tomorrow. Love that buckwheat too! These pictures are wonderful. I need to start working on my Fall garden. Doh! I never thought of buckwheat! 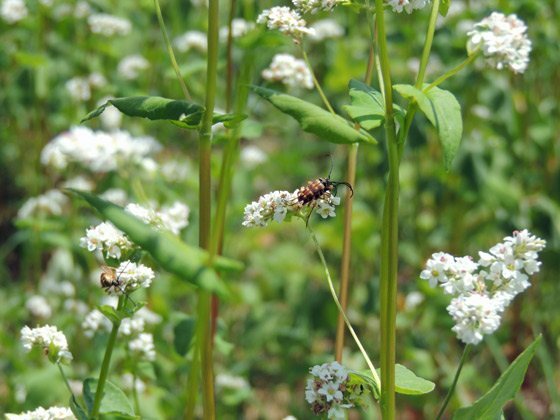 I grow some native buckwheat in my flower beds for the pollinators but now I’m thinking I might mix it in to my rotation. I usually do favas and other cover crops in the fall. It makes such a huge difference in the soil. Thank you for the suggestion! My cucumbers did not do well and I miss them…thanks for the reminder that it is not too late to plant them again here in SC. I planted another round of cucumbers last week. They already germinated. But the ones that I currently have don’t really develop. I am not sure what is going on… The plants look great and there are a bunch of little cucumbers, but they are little for week now… Wired. Not sure what is going on. I have not seen any good cucumber plants so far this summer in sc. What a disappointment…we love them. I have started e few more from seed in the last few weeks, but they seem to be struggling. It is just soooo dang hot! Loved this post! 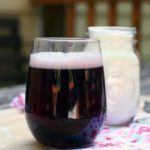 I’ll be featuring it on Thursday’s HomeAcre Hop. I hope you’ll stop by and share again. I’ve been growing my own garden for many years and I still juggle to keep every area producing. Thanks for gathering up these quick to mature crops and for sharing at Green Thumb Thursday. I have selected this post as my featured post this week. Please drop by and grab your featured button. I hope you will join us again this week. I plant October beans after my potatoes in June or July. I am in zone 7b and they will produce before the first frost. Home grown buckwheat is great to use for pancakes. Daryl, I have a few questions… First, you plant potatoes in June and July? Like, regular potatoes not sweet potatoes? Do they germinate and grow in the heat? Second, Do you know what is the verity of beans you grow? I never tried planting so late. And, do you grow buckwheat? How do you de-hull and mill it? Let me clarify my comment. I plant October beans or dwarf horticultural bush garden beans after my potatoes have finished in June or July. I am in zone 7b and the October beans will produce before the first frost( starting in september and going til november if weather permits. My garden is somewhat in the forest with shade after 4pm in the summer and this reduces the stress on the plants from the heat here in Northeast Georgia. I have grown some buckwheat as a cover crop and some remains after I till. My gardens a terraced on a hillside on Paradise Mountain. I found a way that was developed some years ago (1960-1970’s) where a corona corn grinder was used to grind or loosen the husk from various grains. A disk of natural rubber is attached to a large washed(about the size of one of the grinding plates) and is used in place of one of the grinding plates on the corn mill. the existing plate rubs the grain against the rubber disk loosen the husk. Thanks Daryl, I understand better now. Do you use this corona corn mill for the buckwheat? If you have it I’ll be happy if you could send me a picture to lee@ladyleeshome.com.